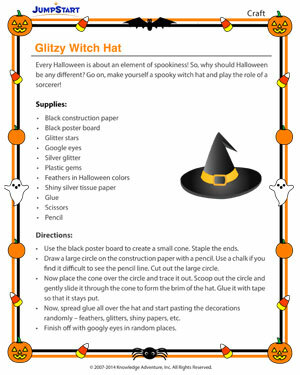 What’s Halloween without witch hats that are adorned with silver foils and Halloween colored feathers! Help the kids make a number of these Halloween hats to be shared with their friends or kept at the table for the guests to wear them up before the party begins. Make great Halloween spreads and make the party a grand success!